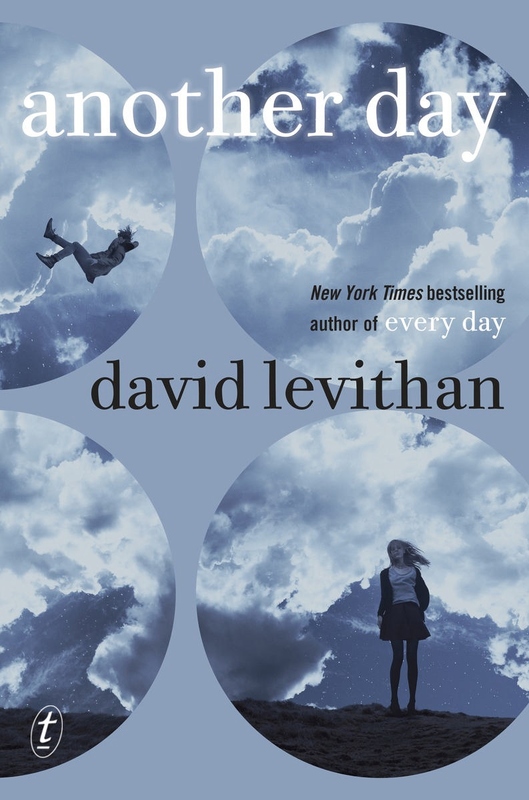 The eagerly anticipated companion to David Levithan’s New York Times bestseller Every Day.In this enthralling companion to his New York Times bestseller Every Day, David Levithan (co-author of Will Grayson, Will Grayson with John Green) tells Rhiannon’s side of the story as she seeks to discover the truth about love and how it can change you.Every day is the same for Rhiannon. She has accepted her life, convinced herself that she deserves her distant, temperamental boyfriend, Justin, even established guidelines by which to live: Don’t be too needy. Avoid upsetting him. Never get your hopes up.Until the morning everything changes. Justin seems to see her, to want to be with her for the first time, and they share a perfect day—a perfect day Justin doesn’t remember the next morning. Confused, depressed, and desperate for another day as great as that one, Rhiannon starts questioning everything. Then, one day, a stranger tells her that the Justin she spent that day with, the one who made her feel like a real person . . . wasn’t Justin at all. First of all, to those who have read Every Day, fear not my friends, this is not a sequel to the book. Another Day is a companion book for Every Day, and narrates the same story but from Rhiannon’s point of view. This book tells you the story of Rhiannon, a girl who is resigned to fact that every day of her life won’t be more exciting than the day before, plus her relationship with her troubled boyfriend, Justin, who ignores her most of the time and doesn’t treat her the way she should be treated. Rhiannon’s hopes for a happy future also seem to be crushed by him until, one day, Justin changes dramatically, and they spend a lovely day together. A lovely day that makes Rhiannon feel like they could actually have a happy future together. However, the next day, Justin doesn’t have any true memories of the day that made Rhiannon so happy. All of this is later explained by the arrival of A, a gender-neutral “body-hopper” (meaning that they don’t have a physical body defined, they hop from body to body every single day, as long as that body is at a 4-hour ratio and has around the same age as the “body-hopper”). One day, A happens to wake up in the body of Justin, and that was the day they fell in love with Rhiannon. Their love for Rhiannon was so strong that they kept coming back to find her, in whichever body they happened to wake up, trying, of course, not to alter the day of such person too much. I know this is impossible, that there are no “body-hoppers” in real life but, by the natural way the story is told, it makes you feel like it could actually happen. You might even find yourself wishing it would happen. In this book, we are able to explore how it would be to fall in love with someone who changes every day through Rhiannon’s experience, but that somehow gives you the happiness you’ve been wanting. We learn that, although it is hard, we could fall in love with someone for what’s inside of them, by who they are and not by how they look. That love has no boundaries. Even though I wasn’t able to connect very much with Rhiannon and that I felt that some of her ramblings were a bit tiring, I did enjoyed the story. But I’m sure it would be way more interesting to read it from A’s point of view, as in Every Day, because they’re the intriguing part of the story. And that cliffhanger end… That end… It leaves a space for speculations of an actual sequel coming out. I hope that doesn’t happen. I don’t feel like this is a novel that needs to have a sequel. Every Day didn’t even need this companion, but it was okay. A sequel? That’s a no-no, Mr. Levithan. All this said, I highly recommend this book, although I would recommend you to read Every Day first. Oh no, no, no. Definitely no sequel. Rhiannon's and A's story has tortured me a lot due to those endings, but as much as I'd like to know what happens next, a sequel would just take a breathtaking story and make it like every other serialized books out there. Rhiannon's and A's story should be left alone for good. We don't need to have that mistery taken away. The story is breathtaking just as it is.